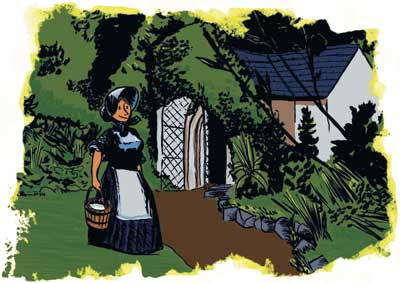 This is one of the illustrations I've done for a very nice project based in the Woodstock Gardens in Inistioge. I'll post the full product once it comes back form the printers. I spent hours looking at Milton Caniff's comics. That guy is a genius using a brush! Posted by Alé Mercado at 2:16 a.m.